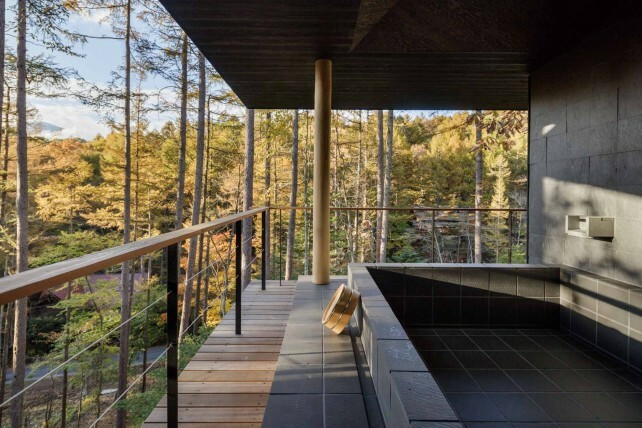 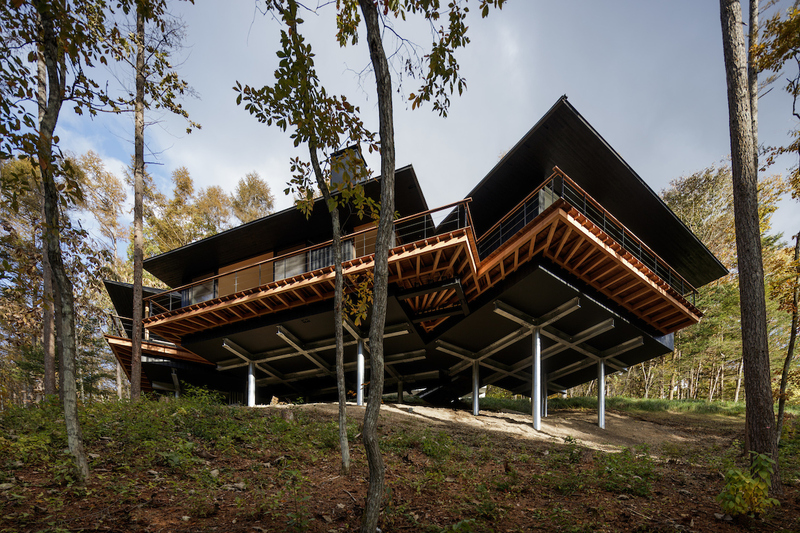 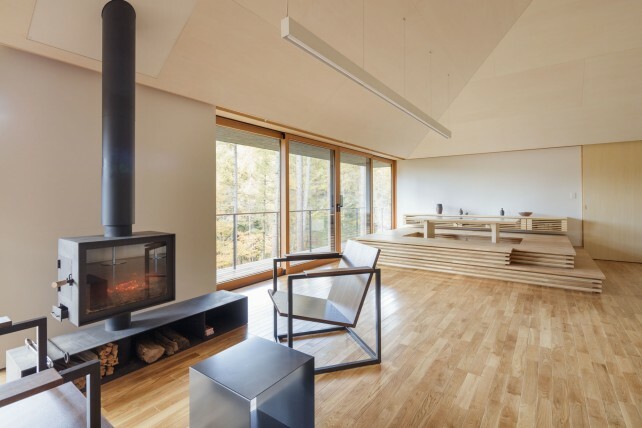 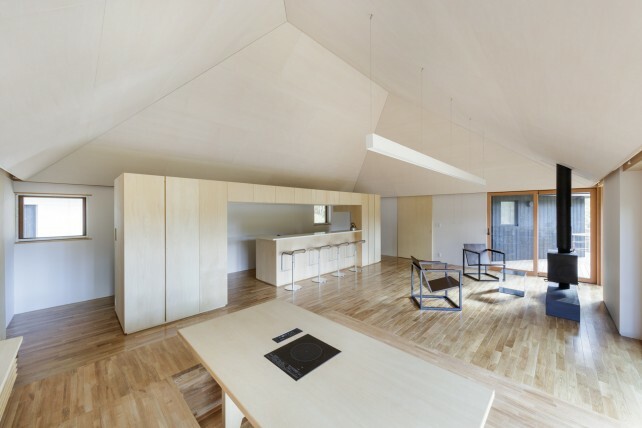 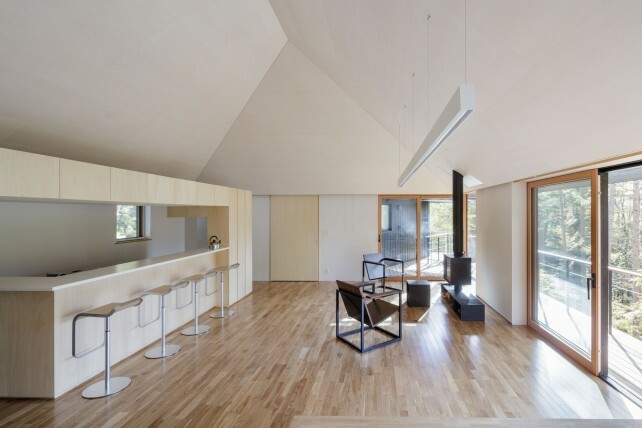 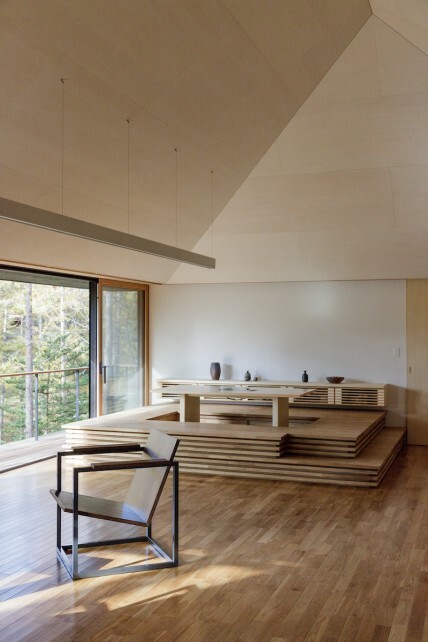 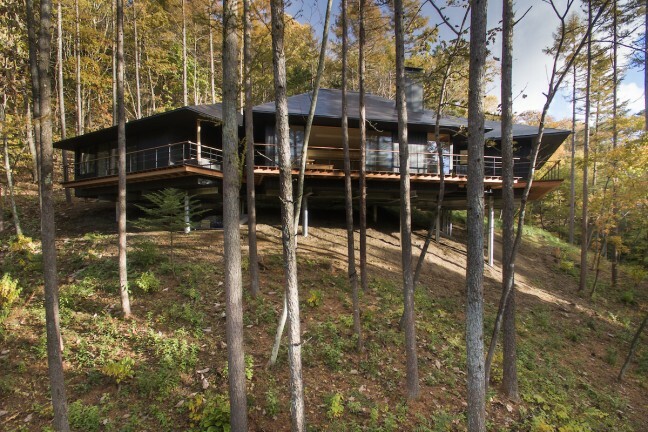 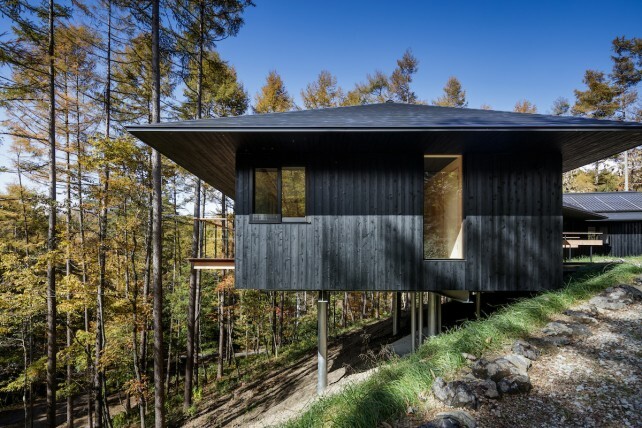 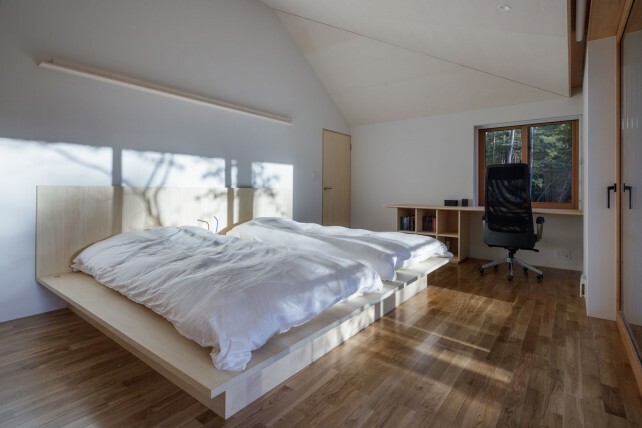 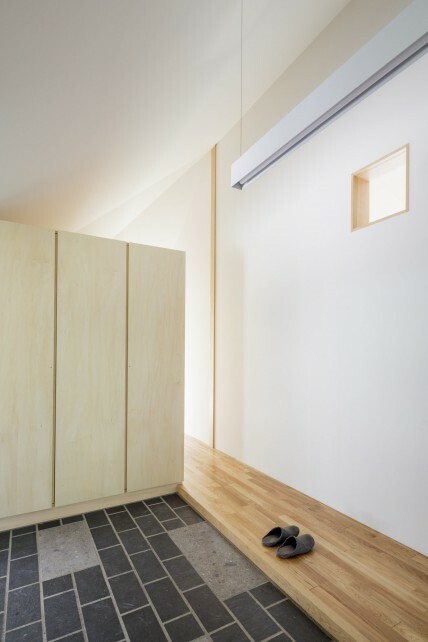 This week-end house is built on a steep wooded slope facing the highest mountain in the area, the Asama volcano. 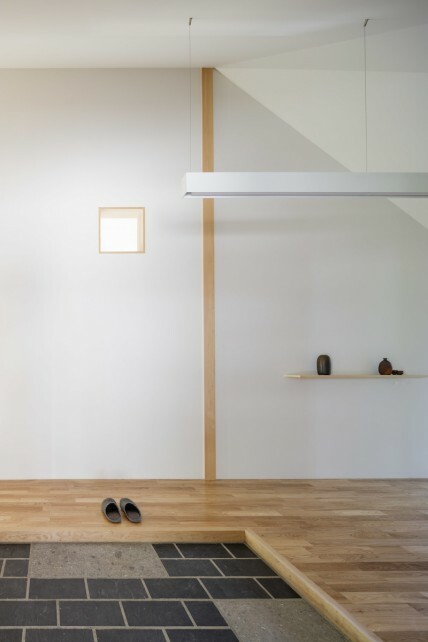 It is composed of three distinct blocks that swing around a mountainous shoulder. 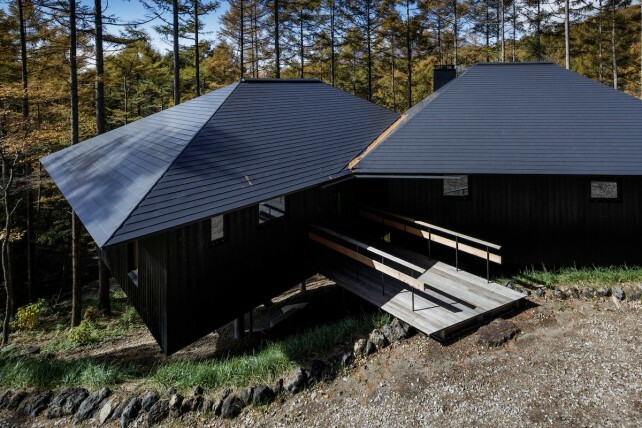 The middle block, used to anchor the house, was precisely oriented towards the volcano while the other two parts frame the foregrounds and different lights. 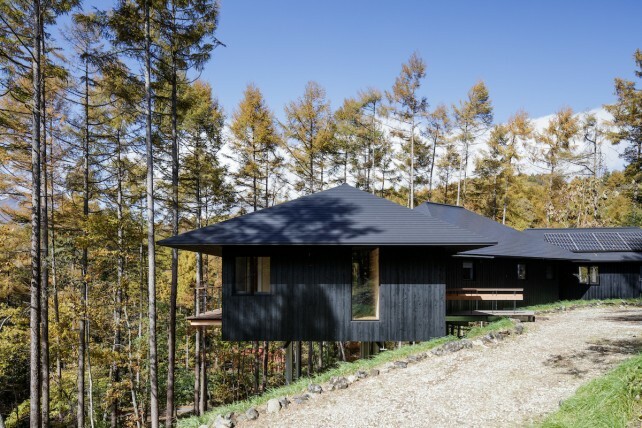 The house thus fits into the large scale of the territory, Mount Asama, and the one closest to the forest and the surrounding slopes. 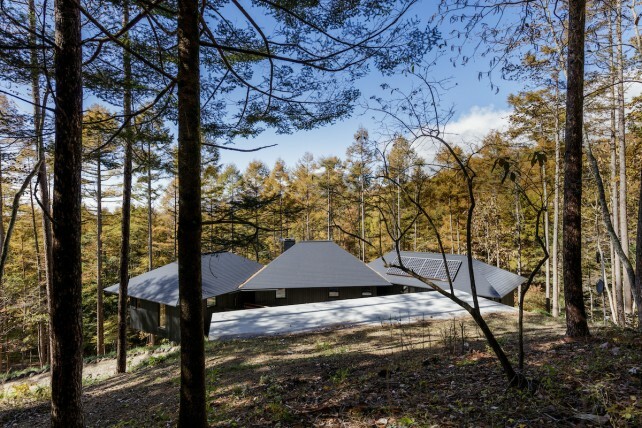 Playing with the topography of the place, the house evokes both a mountain temple set on expressive pilotis and a small hamlet in the mountain. 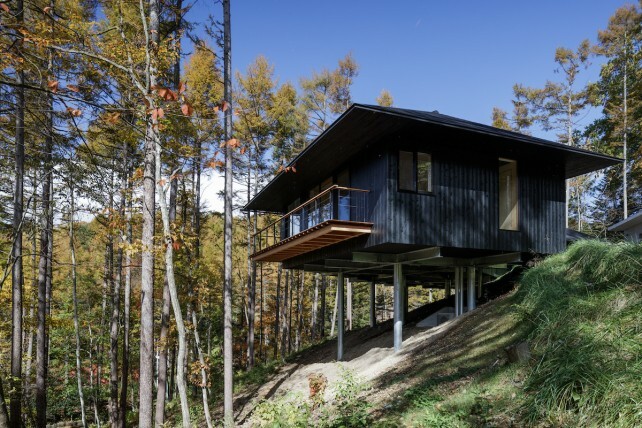 The galvanized metal piles are thus treated like a pedestal on which rests the black and independent volumes of the “houses of the village”. 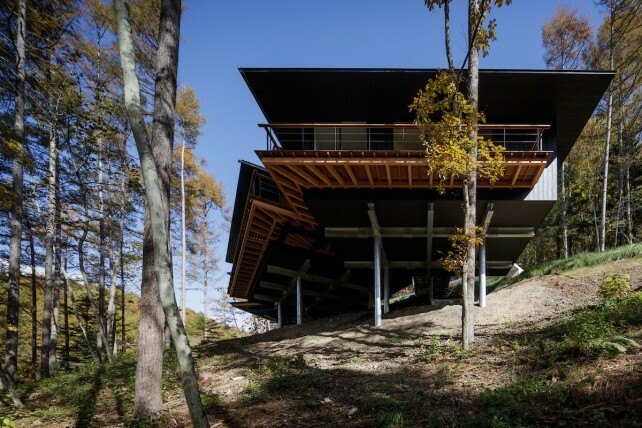 This independence is reinforced by the footbridge which leads to the entrance and the volumes uniformly covered with burnt black cedar of a rather rustic aspect. 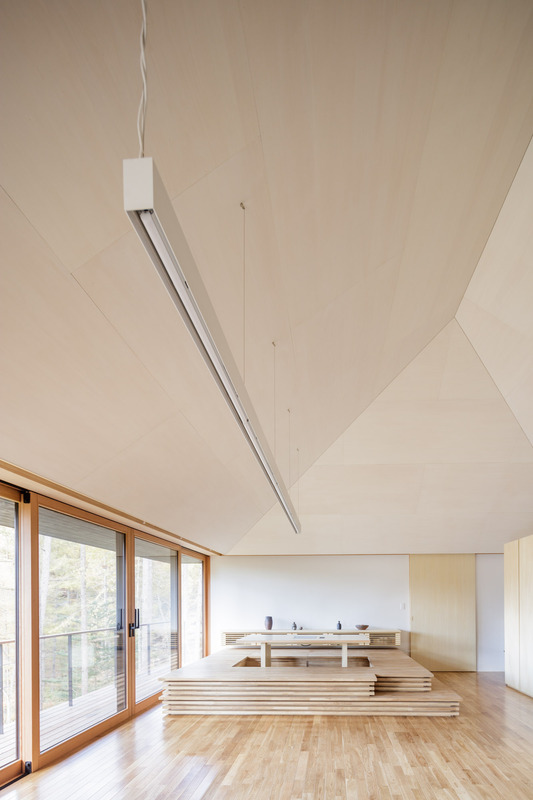 The look of a hamlet comes from a balance between the expression of unity of the materials of the walls counterbalanced by the shifts of the volumes and roofs of different heights. 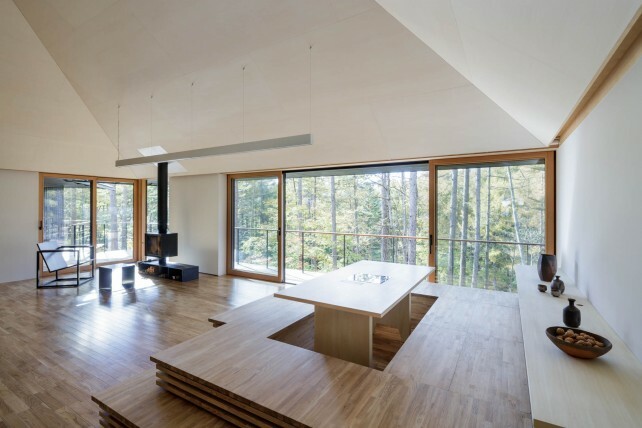 The interior also shows a subtle game between unity and variety. 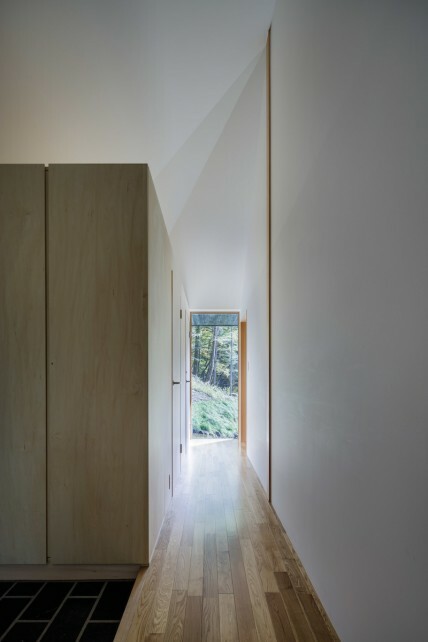 If the heights, shapes and orientations differ according to the three parts, the choice of materials is restricted showing large bright volumes covered with light ceilings covered by panels of laminated lime.